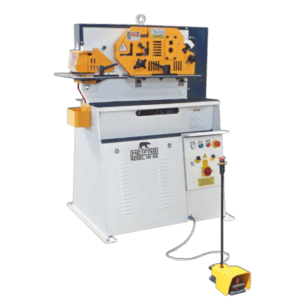 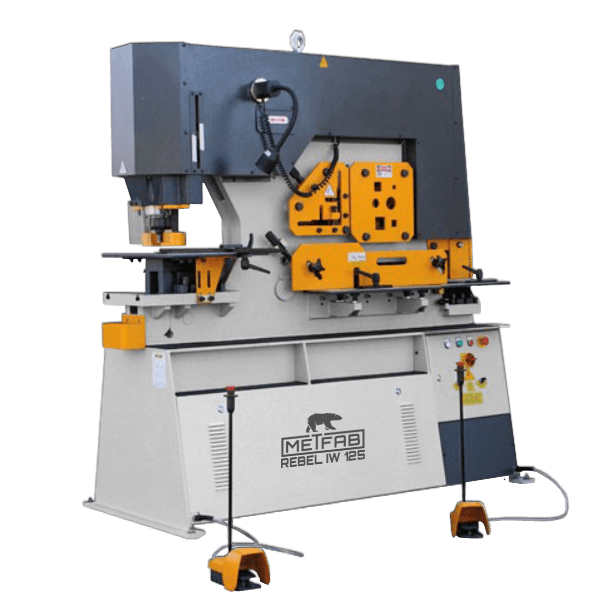 Ironworkers machines are multi-purpose machines for metal working. 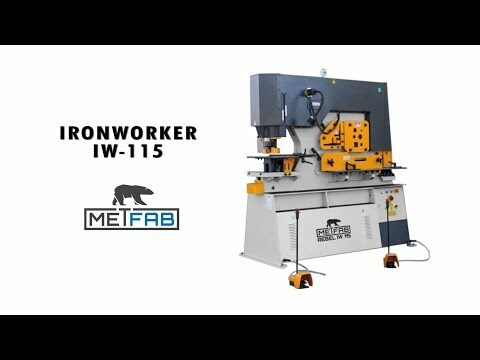 The hydraulic ironworker machine IW 125 has a force of 125 tons and has five workstations, allowing punching, notching, profile cutting, angle cutting and shearing of the square and round metal bars. 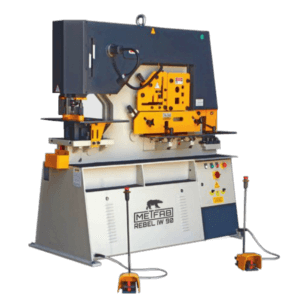 This machine has a double piston that allows 2 operators to work at the same time. 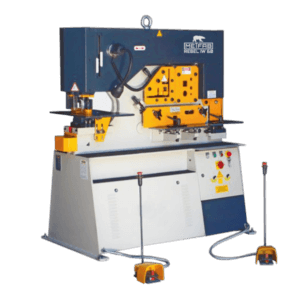 The distance of the piston stroke is adjustable according to the thickness of the metal for a better productivity. 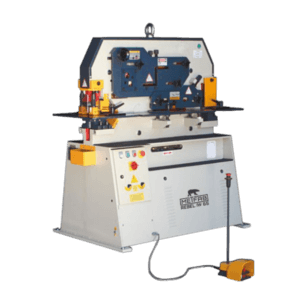 This ironworker is also equipped with a working light. 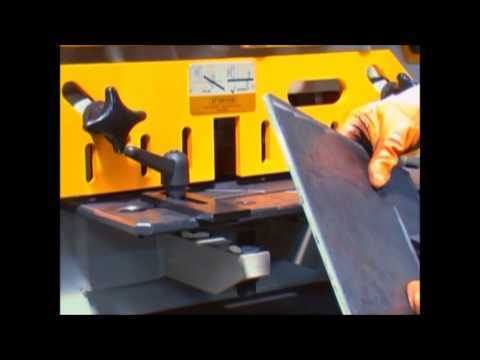 Profile cutting up to 14.96” for a flat bar of thickness 0.96” and up to 4,72” a profile with an angle of 5/8” thick.